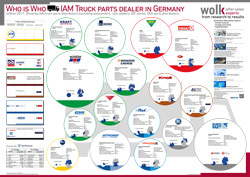 This Din A0 poster is an ideal support to get a clear overview at a glance and should not be missed in your conference room. 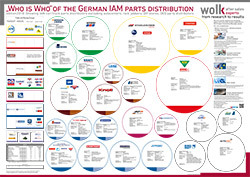 The poster shows the largest IAM car/truck parts distributors in Germany excluding OES parts distributors, auto centers, rack jobbers, DIY stores and online shops. 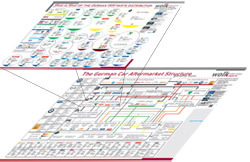 Further, it illustrates the relations between the distributors and the trade&buying groups. 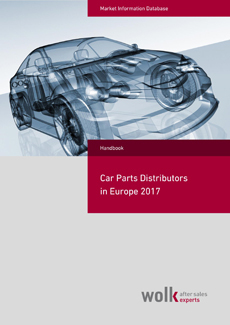 Who are the most important distributors for car parts in Germany? To which trade and buying group do they belong? 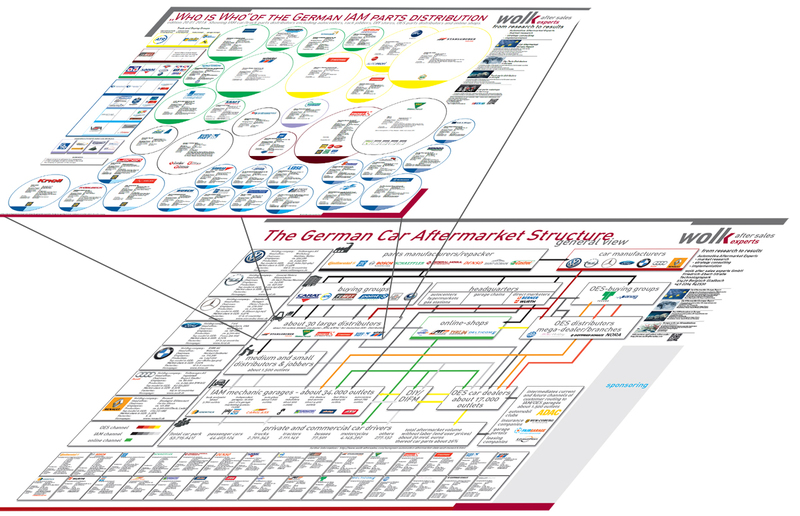 Which garage marketing systems do they provide? Top 10 ranking by size, the number of employees and the number of outlets. The size of the circle corresponds to the turnover of the company. The color shows the affiliation to one of the international trade and buying groups. Please contact us if you like to order more than 10 posters or if you like to have a customized poster. WM SE is now a member of the international trade and buying group GlobalOne. Trost is no longer member of Temot international. Schäferbarthold and Autoteile Pöllath are the first German members of Nexus. The trade and buying group CAR has become a member of Nexus. Hans Hess has left the VMA and joined the Select Group. Hess has also acquired Autoteile Jakobs and Schwenker (a former Carat member). Coler has left the VMA. 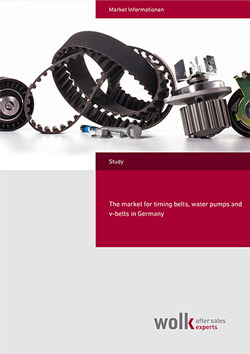 The company Trost has been acquired by Wessels & Müller. Due to this WM had to leave the international trade & buying group ATR. Hofmeister & Meincke has been acquired by Fricke who is a specialist for agriculture vehicles. Coler has been acquired by the Automotive Alliance Groupe. 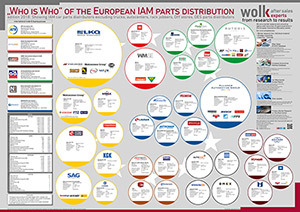 Centro is not shown on the poster as there is only the garage marketing system 1a autoservice left. We offer to customize the poster with your ideas and wishes. Please contact us to get an individual offer.